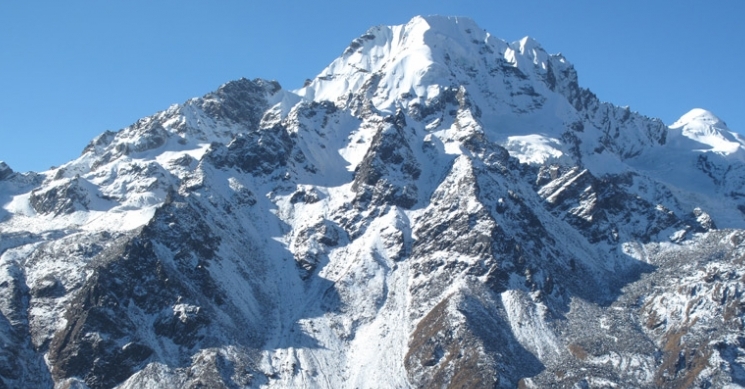 Naya Kanga Peak is famous trekking climbing peak in Langtang valley. 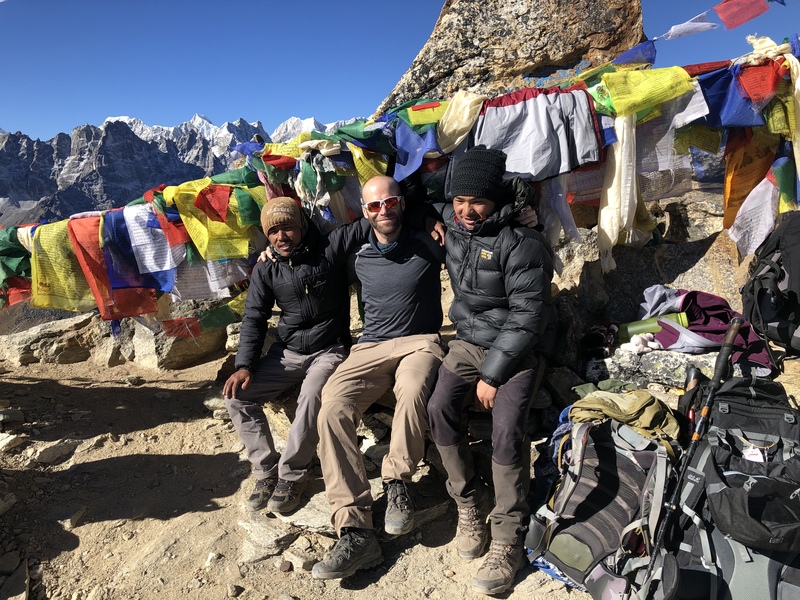 Naya Kanga Peak Climbing takes the classic tea house trek route to Langtang passing terraced fields and hidden valleys along with summating Naya Kanga Peak. Viewpoints and high passes along the route provide outstanding views of the Himalayas. Labelled moderate in difficulty, exquisite views of towering mountains like Ganesh I, Langsisa Ri, Dorje Lhakpa and Yubra rewards those undertaking the journey. The trek starts at Syabru Besi which is an eight hours drive from Kathmandu. Lama Hotel, our next stop ascends through forested area follows the Langtang River. The climb further continues through Ghoda Tabela and reaches the valley housing Langtang Village where we stay overnight. Kyanjin Gompa at 3798 meters lies at the entrance of another valley with Langtang Lirung close by giving a towering view. We stop here the next day as well for acclimatization and explore upto Tsergo-Ri which is a magnificent viewpoint. From Naya Kanga Base Camp onwards there are no human settlements, hence we camp for some days. The trek further reaches an elevation of 5000 meters at Naya Kanga High Camp from where we move to the summit of Naya Kanga (5844m) the next day. We take the same route back in the subsequent days through Kyanging Gompa, Langtang village, Lama Hotel and finally to Syabrubesi which marks the end of the trek. The highland dwellers at Langtang village, Kyanjin Gompa and other small settlements have a different culture and lifestyle. Flora and fauna gets scanty and with alpine vegetation as we ascend higher. Camping in the highlands is difficult, yet equally rewarding with great close up views of the snow peaks. Day 3 :Drive from Kathmandu to Syabrubensi (1450m), Stay overnight at hotel. Day 4 :Trek from Syabrubensi to Lama Hotel 2470m/6hrs, Stay overnight at hotel. 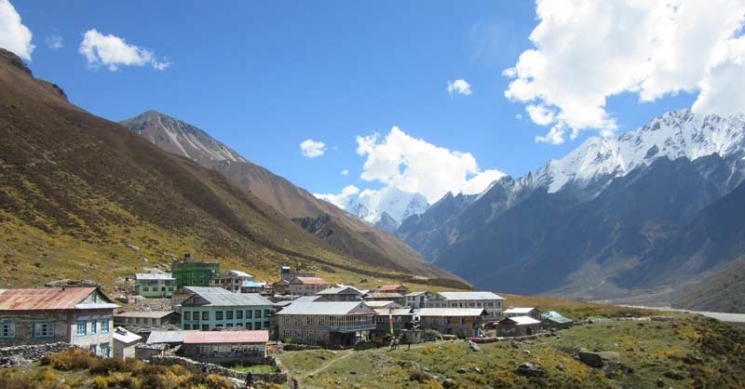 Day 5 :Trek from Lama Hotel to Langtang Village 3330m/5hrs, Stay overnight at hotel. 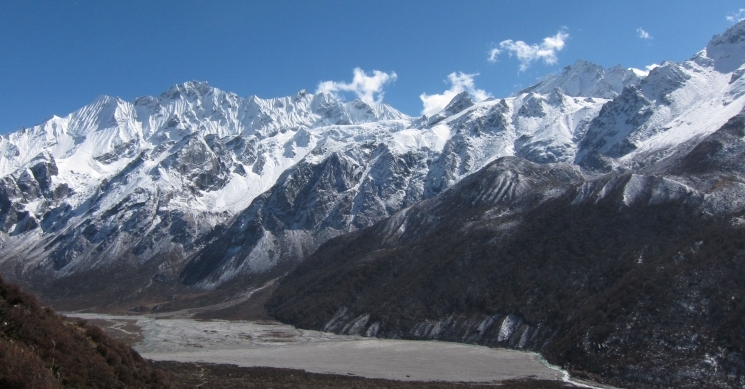 Day 6 :Trek from Langtang Village to Kyanjin Gompa 3870m/3hrs, Stay overnight at hotel. Day 7 :Acclimatization day, hike to Tsergo-Ri 4985m/6hrs, Stay overnight at hotel. Day 8 :Trek to Naya Kang base camp (4400m). Stay overnight at tent. Day 9 :Trek to Naya Kanga High Camp (5000m). Stay overnight at tent. 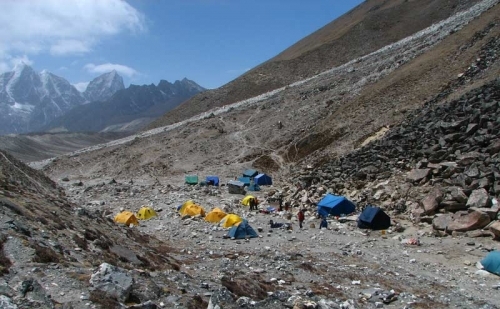 Day 10 :Climb to the summit of Naya Kanga (5844m) then trek back to Naya Kanga Base Camp. Stay overnight at tent. Day 15 :Final Departure or onward for next program. Naya Kanga Peak climbing permit. Day 1 :Arrival in Kathmandu (1300m) Arrival in Kathmandu. Our Airport Representative will meet you at the Tribhuwan International Airport. A drop to the Hotel by private tourist vehicle is arranged. You can either take a rest or meet us at our office and know the detail arrangement of the Trek. B&B at the hotel. Day 2 :Preparation day for climbing permit & briefing, overnight at hotelAfter breakfast, you will be introduced with the trek leader/guide at the hotel. This pre-trip meeting is for briefings on the trek and other necessary details. Please bring along your passport and three passport sized photos and a copy of your travel insurance policy. You can use your free time to rest or explore around for some last minute shopping. Day 3 :Drive from Kathmandu to Syabrubensi (1450m), Stay overnight at hotel. An early morning drive from Kathmandu to Syabru Bensi, the starting point of the trek. The drive takes around eight hours and passes through rural lowland villages where you can observe the procession of an ordinary day. Scenic views of mountains and stretches of rolling hills also accompany you. Overnight stay at a lodge. Day 4 :Trek from Syabrubensi to Lama Hotel 2470m/6hrs, Stay overnight at hotel.The trek to Lama Hotel is mostly along the Langtang River. After crossing a suspension bridge, we pass a stream. The walk continues along forests of Bamboo, Rhododendron and other alpine trees. It’s an easy walk despite the wavy nature of the trail. Overnight stay at Lama Hotel. Day 5 :Trek from Lama Hotel to Langtang Village 3330m/5hrs, Stay overnight at hotel.After breakfast, we move on through a trail along dense forests that ascends to Ghora Tabela. 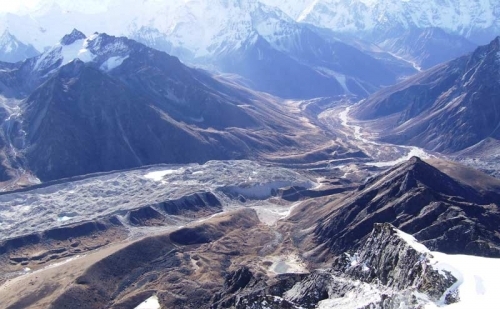 Views of Langtang Ri and the Langtang Village are magnificent from here. As we move to the Langtang Village, prayer flags, chortens and water mills welcome us. Overnight stay at a lodge. Day 6 :Trek from Langtang Village to Kyanjin Gompa 3870m/3hrs, Stay overnight at hotel.Leaving the village after breakfast, we move on through high pasture lands where yaks graze. Walking alongside the mani walls and across wooden bridges, the gain in elevation can be felt with the thinning air as we reach Kyanjin Gompa. Overnight stay in a lodge. Day 7 :Acclimatization day, hike to Tsergo-Ri 4985m/6hrs, Stay overnight at hotel. It’s a day set for acclimatization. Sitting idle is not recommended though, and a hike to Tsergo Ri is scheduled in the morning. Incredible views of Langtang range meets the eyes at the elevation. After returning back, you can explore around Kyanjing Gompa which is the last settlement area for some days. Day 8 :Trek to Naya Kang base camp (4400m). Stay overnight at tent. We move from Kyanjin Gompa after breakfast. After crossing a river, the trail ascends along a hill. 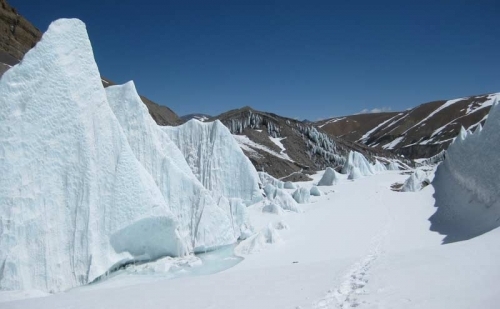 The base camp lies south to Kyanjin in a small plateau like clearing. After walking for about 5-6 hours we reach the clearing of the campsite and unpack our tents. Day 9 :Trek to Naya Kanga High Camp (5000m). Stay overnight at tent. The walk today is along rocky paths, boulders and finally along a glacier. 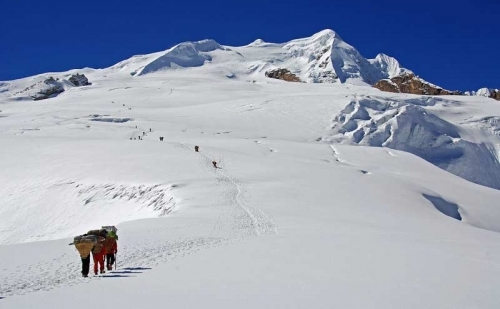 It’s a short climb and we set camp in a glacier part to prepare for our next day’s climb. 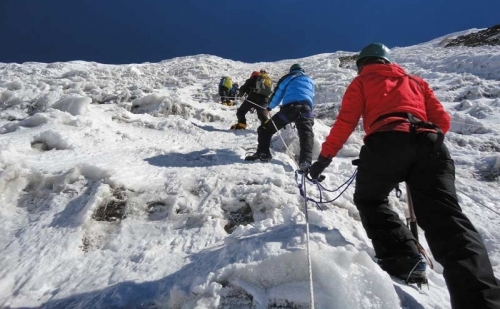 The guide will brief you on climbing techniques and other essentials for the peak climb. Overnight stay in a tented camp. 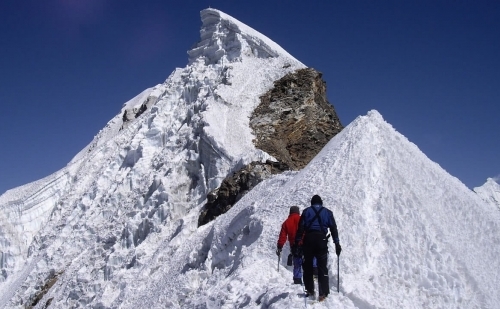 Day 10 :Climb to the summit of Naya Kanga (5844m) then trek back to Naya Kanga Base Camp. Stay overnight at tent. 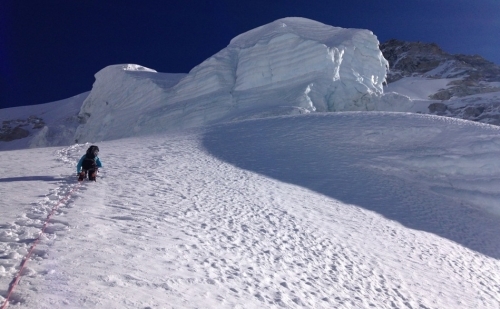 It’s an early day, and a most important one as we are to summit the Naya Kanga (5844m). We wake up at 4 am and after breakfast, move towards the summit. 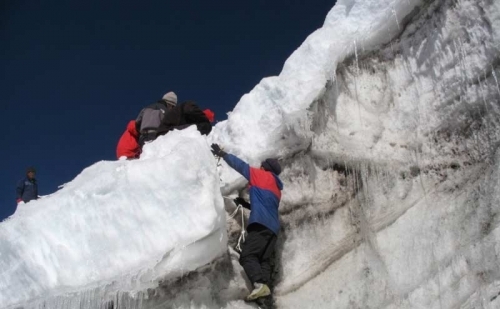 With rope support at places, the climb is slow and demanding, but not too technical. 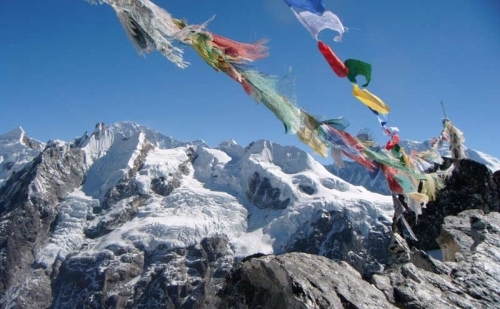 From the top, you can enjoy the panorama of Himalayan peaks and even the Tibetan parts. We stay at the summit for some time and return back to the base camp. Overnight stay in a tented camp. Day 11 :Base camp - Kyanging Gompa - Langtang village After the successful ascent of the peak, we make a quick descent to Kyanjin Gompa and further to Langtang village and make a quick celebration there. Overnight stay in a hotel. Day 12 :Langtang village - Lama HotelThe pleasant walk downhill through rhododendron forests leads to the Lama Hotel where we rest for the night. As we lose altitude, the air thickens up and eases our body functions. Overnight stay in a lodge. Day 13 :Lama Hotel – Syabrubensi Through rhododendron and bamboo forests, the trail today leads to Syabrubensi. We get to see wild boar and other species of animals and birds in the forest areas. We may take some time off at a small hot spring to ease our worked out muscles. After the five hour walk, we reach our lodge and rest for the day. This marks the end of our trek. Day 14 :Drive to Kathmandu and transfer to hotel It’s an early morning drive back to Kathmandu. The scenic drive also serves as a relaxation from the long walks. Back in Kathmandu, Green Valley Nepal Treks celebrates the successful accomplishment of the journey through a farewell dinner in a traditional Nepali restaurant. Overnight stay at a hotel. Day 15 :Final Departure or onward for next program. Departure from Kathmandu. A drop from the hotel to the airport 3 hours before the scheduled time of flight is arranged in a private tourist vehicle. You can also opt for another package with us and move towards the next destination.